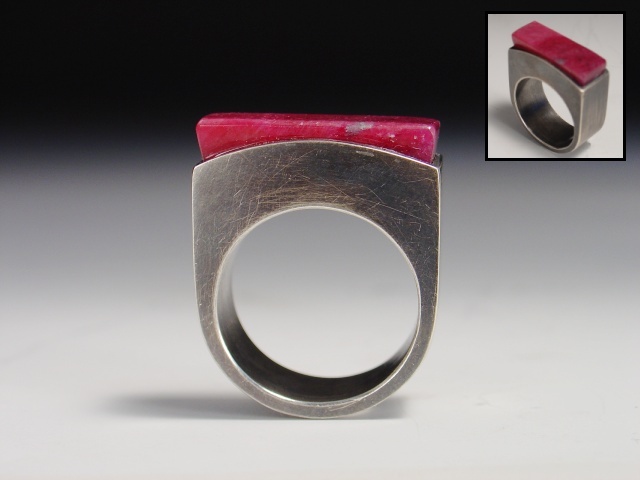 Sterling silver oxidized box ring with a natural ruby inlay. I left the top flat for a modern look. The ring is 1" high, 7/8" across and 3/8" wide. This ring is a comfortable size and not too big or heavy. This design is also available as a custom ring in a variety of stones and sizes.